Hail, the mighty avocado. This one fruit singlehandedly saved me on my weight loss journey. Did you know that it is 7000 years old? Cultivated in Central America and brought to the New World in the 19th Century. It’s true that avocados are high in fat — one reason they’ve earned the nickname “butter pear.” A medium-sized avocado contains 30 grams of fat, as much as a quarter-pound burger. That’s why diet experts have long urged Americans to go easy on avocados in favor of less fatty fruits and vegetables. But now nutritionists are taking another look. 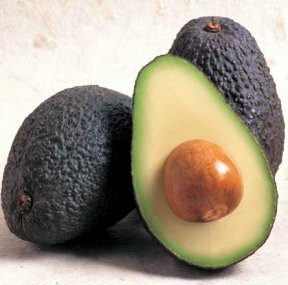 They’re finding that most of the fat in an avocado is monounsaturated — the “good” kind that actually lowers cholesterol levels. Thanks to this new understanding, the U.S. government recently revised its official nutrition guidelines to urge Americans to eat more avocados.